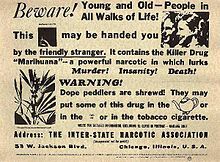 Cannabis is mostly used for recreation or as a medicinal drug, although it may also be used for spiritual purposes. In 2013, between 128 and 232 million people used cannabis (2.7% to 4.9% of the global population between the ages of 15 and 65). 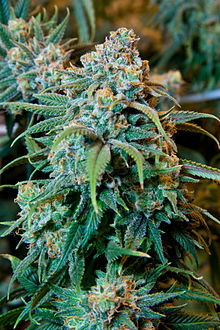 It is the most commonly used illegal drug both in the world and the United States. 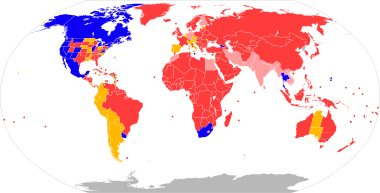 The countries with the highest use among adults as of 2018[update] are Zambia, the United States, Canada, and Nigeria. In 2016, 51% of people in the United States had used cannabis in their lifetime. About 12% had used it in the past year, and 7.3% had used it in the past month. 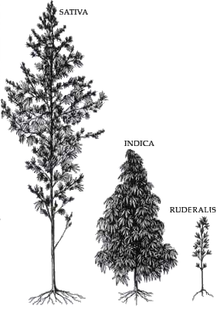 Cannabis smoke contains thousands of organic and inorganic chemical compounds. This tar is chemically similar to that found in tobacco smoke, and over fifty known carcinogens have been identified in cannabis smoke, including; nitrosamines, reactive aldehydes, and polycylic hydrocarbons, including benz[a]pyrene. 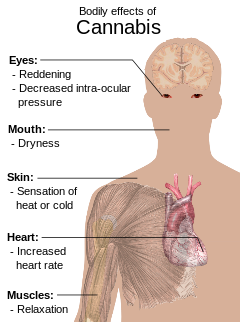 Cannabis smoke is also inhaled more deeply than is tobacco smoke. As of 2015[update], there is no consensus regarding whether cannabis smoking is associated with an increased risk of cancer. 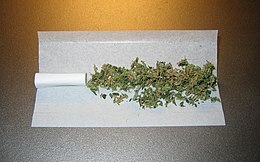 Light and moderate use of cannabis is not believed to increase risk of lung or upper airway cancer. Evidence for causing these cancers is mixed concerning heavy, long-term use. In general there are far lower risks of pulmonary complications for regular cannabis smokers when compared with those of tobacco. A 2015 review found an association between cannabis use and the development of testicular germ cell tumors (TGCTs), particularly non-seminoma TGCTs. A 2015 analysis of six studies found little evidence that long-term or regular cannabis smoking was associated with lung cancer risk, though it could not rule out whether an association with heavy smoking exists. Another 2015 meta-analysis found no association between lifetime cannabis use and risk of head or neck cancer. Combustion products are not present when using a vaporizer, consuming THC in pill form, or consuming cannabis foods. 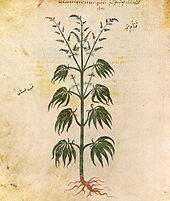 A 2015 review found that the use of high CBD-to-THC strains of cannabis showed significantly fewer positive symptoms such as delusions and hallucinations, better cognitive function and both lower risk for developing psychosis, as well as a later age of onset of the illness, compared to cannabis with low CBD-to-THC ratios. 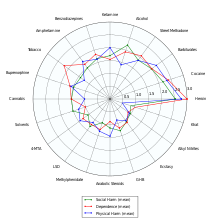 A 2014 Cochrane review found that research was insufficient to determine the safety and efficacy to using cannabis to treat schizophrenia or psychosis. As of 2017[update], the molecular mechanisms for the anti-inflammatory and possible pain relieving effects of cannabis are under preliminary research. As of October 2018[update] when recreational use of cannabis was legalized in Canada, some 220 dietary supplements and 19 veterinary health products containing not more than 10 parts per million of THC extract were approved with general health claims for treating minor conditions. This page was last edited on 18 April 2019, at 18:47 (UTC).